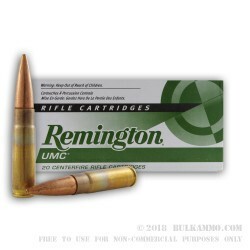 A very nice option for the .300 AAC Blackout enthusiasts out there who want a good range cartridge for use in a variety of scenarios that can utilize the flat base of the projectile and for where you would not be utilizing a suppressor for the rounds. 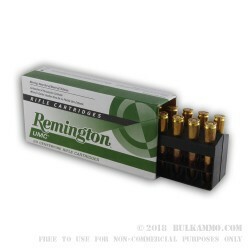 This is a supersonic cartridge on the .300 AAC platform, and offers a cheaper alternative to the relatively expensive rounds that are on the market. 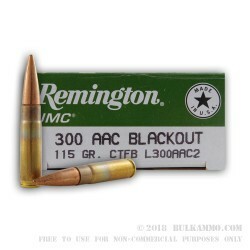 The .300 AAC Blackout is a fantastic round for home protection and short-range hunting of deer sized animals or smaller, especially where a suppressor can be used in an optimized format. Short of having a suppressor, it is still a very potent performer with the 30 caliber bullet with only slightly lower velocity and energy delivery inside of the sweet spot for the round. It is able to be utilized in a standard AR magazine and it offers great ballistics with significantly reduced potential for over penetration. For those who want to use the AR platform for hunting or home defense, the .300 AAC is almost a no-brainer. This is a quality piece of brass around a potent powder charge and a 115 grain projectile, that has even better performance than some of the suppressor specific cartridges. The Boxer primed cartridge is reloadable.